Getting a fix on the ABIM in history. The ABIM experiment started in 1936 in Iowa with a simple mission. Just a little FDR-era medical fix. This organization of subspecialists had a qualifying certification for life - the first little "drink" - certainly not an addiction - was to celebrate our common life. 27 physicians, all men, certified in internal medicine the first year taking an eight-question essay style examination. The exam had no real weight or scientific proof it made better physicians. There were nine board members chosen from the founding societies - ACP and AMA. There were eight Americans and one Canadian as it was open to US and Canadian physicians. The unpaid board positions were time-limited to one, two and three years in order to avoid conflicts of interest. Some of the founders may have had a national health plan in mind, but the organization was barred from political activities or amassing profit, so personal political ambitions and monetary gain were not a threat to the organization or physicians. Politics and money did not become a problem as far as we know for the first 29 years. There were no MOC-aholics or talk of maintenance of certification either. That would be an unthinkable betrayal of trust and a broken arrow toward what was promised in order to get physicians to sign on to the new deal. It was simply a voluntary certification that distinguished one as a medical scientist practicing in a specialty. The executive position was created by BIG TOBACCO's Dr. Thomas Brem in 1965; an amendment to the bylaws was signed by him just weeks before the Social Security Act of 1965 (Medicare) was set to be approved by an overwhelming majority in congress. This allowed for near authoritarian control of the organization by hand-selected, but easily manipulated medical politicians. By the way, Thomas Brem had some unusual political views for his time. He was vocally in favor of creating a socialized medical system. So with Brem we recognize the first abuse of this evaluatory organization, turning into to a clandestine membership society with a long term aim - to guide the American (and perhaps Canadian) medical systems toward a socialized model. Dr. Brem was ABIM certified but he considered himself to be part of a membership society. Brem was head of the budding ABMS as well, so he was influential in setting the agenda to come in Chicago and Philadelphia. But at this point the ABIM became a secret society. This is not a conspiracy theory, just a fact. The once quiet organization, unfortunately, then became quite active politically with executives becoming "lifers", retiring with attractive benefit packages. This culminated with the well-timed 1.7 million dollar kickback given to Christine Cassel for her services. This all happened behind closed doors while the ABIM certification was on its way to becoming a time-limited piece of paper with increasing monetary and time requirements codified by the late 1980's. John Benson, who is sometimes referred to as the father of the ABIM got a salary much higher than he could make as a practicing physician in Oregon, so the apple was bitten into. A study of any of the executives from Benson to Baron will confirm that it became a political organization from then on serving an elite group of professional medical politicians and special interests. Their aim was to keep the legislative pot simmering toward a socialized version of healthcare. The ABIM had the dual aim of revenue generation and political control over physicians, first through certification and then they expanded that control and income with MOC to tighten the structure and influence. They brought fear mongering tactics into the mix. They hired unvetted security personnel and these strongmen used methods that would shock the squeamish-minded who think we live in a society where civil liberties and privacy are valued highly. ABIM executives lobbied for political favors or paid for them. Physicians were fooled and made afraid of the political power that the ABIM and ABMS slowly acquired through regulatory capture. From 1965 on the organization became a secret society of social democrats pushing for reforms in medicine. These are historically verifiable facts that cannot be refuted. The IRS rulings in place would not have approved the ABIM's non-profit status had the organization's executive and hand selected officers been transparent about its political ambitions and financial activities, which included an egregious amount of stock jockeying. Judging by the people placed in charge to manage ABIM's money there may have been more than a little insider trading. Internal documents, publications and biographies of the ABIM executives and officers bear witness that the organization became a political machine with monetary needs for large revenue streams, both for personal luxury and for the maintenance of its hidden political agendas. How do we fix an illegal organization when it has crossed the red lines of honesty and decency with their zealous political agenda. The former executives will not discuss this openly, but they are secretly proud of what they have accomplished using the money of hard working physicians to alter the medical landscape for providers and patients. The executives and officers justify to themselves and in print that their egregious conflicts of interest were a necessary evil given the political opposition they faced. With the election of a democratic president who worked out a deal with Ted Kennedy for his political support if he would promote universal health coverage the ABIM leadership knew that they were protected from much opposition or criminal prosecution. So they crossed more red lines the closer they got to their goals. We were warned about secret societies and the harm they can bring to our nation. The loss of civil liberties and our freedom through subversion rather than election. John Kennedy speaking to the press club on secrecy and secret societies. These are criminals who have acted without conscience. Never revealed to physicians, patients or the electorate. State medical secrets transmitted and stored on private servers/healthcare reforms and reformers' clandestine organizations hidden agendas/secretive groups masquerading as testing companies funding undisclosed political activities/financial fraud/undisclosed lobbying/secret money transfers/racketeering/profiteering/disinformation/propaganda/civil liberties violations/privacy violations/legal manipulation/thuggery/lying to federal judges and law enforcement/impersonation/weapons violations/destruction of evidence/altering of evidence/harassment/illegal surveillance/contract fraud/cheating Medicare/fraudulent billing/conflicts of interest/defrauding Medicare and Medicaid/defrauding Tricare/enhancing revenues/controlling the number of physicians in the workforce through manipulating pass and fail? Sounds like the ABMS, ABIM and their powerful unelected cartel? “I hope the American people know the FBI well enough and the nature and character of this organization,” Comey told the Senate panel on Wednesday. The FBI would be busy till the end of time with the ABMS and their sick affiliates like the ABIM. I wish them good luck in connecting all the dots for a thorough investigation and criminal prosecution of the ringleaders and their corporate sponsors. Hey Lynn Langdon...feel free to return the $ 300,000. Health and Human Services Sylvia Burwell shifting reimbursement from volume to value. (Note: Cassel, Baron, Wachter, Nora et al had ABMS/ABIM boards approve compensation increases as they decreased value to the healthcare delivery system. Social experiments were launched by the ABIMF "choosing wisely" recommendations which increased risks/harm to patients increasing provider/hospital liability. Documented cardiac patient deaths over "Choosing Wisely's" imprudent stent recommendations. Evidence of increased death and morbidity over ABIMF "choosing wisely" diabetes recommendations and SDM. Robert M Wachter, former ABIM chairman, HHS-AHRQ Editor, key director/chair of quality committee and leadership training teams at IPC, the Hospitalist Company. IPC maintained the practice of fraudulent upcoding under Wachters watch in order to enhance executive compensation and stock growth/dispensation. IPC reimbursement policy under Wachter and Singer: grab both volume and value for IPC, the Hospitalist Company at the expense of Health and Human Services and the taxpayer. IPC is accused of defrauding government payers - Medicare, Medicaid, Tricare, railroad retirees. DOJ False Claims Act "whistleblower lawsuit" pending. No arrests made. Christine K Cassel former ABIM CEO/President maintained high levels of conflicted income despite egregious conflicts of interest they represented. As NQF CEO/President she managed to quell a storm which implicated many officers and directors of wrongdoing at the NQF. Robert Wachter, a safety expert, blogged to distance himself from Charles Denham, because he and Richard Baron, the current CEO of ABIM, had a relationship with the NQF safety co-chairman who was implicated for fraud. DOJ False Claims Act "whistleblower lawsuit" settled for $40 million plus personal fines. No arrests made. No prison time. National Union of Healthcare Workers busts Christine Cassel again for trying to deceive HHS/CMS by not disclosing serious conflicts of interest. Cassel wanted to lick the frosting off the corporate cake collecting from Kaiser and Premier while leading NQF as CEO, the top hospital safety/quality/advisory forum in the United States. NQF receives substantial appropriations from the government directly from CMS - Medicare and Medicaid programs. NUHW passed their information/tip on to Pro Publica/Senator Grassley of Iowa. Because Cassel was Moonlighting at Kaiser and Premier - two corporations that would directly benefit from having a sympathetic CEO at the National Quality Forum, a national furor arose over the egregious conflicts. No indictments or arrests. Cassel also serves the white house as a key healthcare policy advisor. Cassel may not have been vetted as she came with a high recommendation from Hillary Clinton at the Department of State and worked with Cassel during the Clinton administration in the late 1990's working on a patient's bill of rights that the medical industrial complex lobbied against. In 2001 a modified bi-partisan version was introduced as legislation and passed. Yes, the ABIM should give all the money back that they stole. Responding to one of the comments here, it is interesting to note that Lynn Langdon probably feels justified in her receipt of $300K for her coordination of illicit investigations involving police-like surveillance and the horrible demonization of Arora's Board Review courses - as well as the horrible accusations and legal confrontations with Frontrunners. This woman, Lynn Langdon and her ABMS/ABIM cronies has instigated irreparable harm to thousands of good physicians and their families. We were very concerned when Langdon, Baron, Holmboe, and Cassel and their ABMS advisors who all decided to suspend our bill of rights. The actions to persecute physicians over copyright was political and financial. It was financially motivated to protect their brands status quo and tightly coordinated with key players/partners from the secretive testing security industry. Maybe the ABMS and ABIM would like to speak transparently about this with us? They will not; and there are many good reasons why. All of the reasons pointing to fraud on the part of the ABIM and their Chicago "partners in crime" at the ABMS. No physician would choose to have a relationship with the ABIM, at this point, if it were truly voluntary. Nobody would voluntarily choose to deal with any of the ABMS certification boards, for that matter. Only in the land of make believe! ABIM strongmen tactics. Sickening. All for money and power. Langdon, Baron, Wachter, Holmboe, and Cassel should have faced indictments for the improper investigative and legal tactics carried out starting in 2008. Disgusting. The investigations were tainted to the core. ABMS utilized people with questionable/dirty backgrounds that could never make believable witnesses. They intimidated and threatened everyone. What treachery! ABIM - always doing what ethical people would never do. And the cheat goes on! The ABIM/ABMS lacks transparency to the point that it outrages most of us. 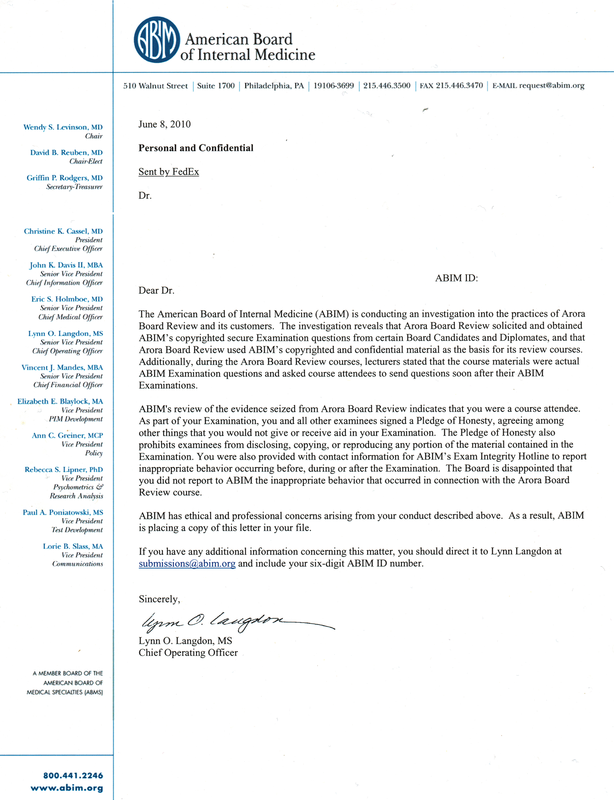 What is “professionalism” as exhibited by the ABIM Foundation today? Is not ABIM "professionalism" nothing more than a euphemism for "opaque discussions masking their unethical practices”? What happened to the ideal of "open society"? Has that ideal also just become "political newspeak" bastardized by the ABIM Foundation? Many of us suffer in silence. I admire your courage and strength to stand up and voice your concerns against these greedy oppressors. UUUUUUUNNNNNNNNNNNNNNNNNNbelievable! Baron's latest "What we've heard....." He's standing there with his gnarly shriveled buttocks turning blue in the wind - pretending, Pretending, PRETENDING!!!! the Emperor does have clothes. Sheeesh, such a disgusting, despicable, and pathetic sight. I'm dying to know what the ABIM and ABIM Foundation have to do with George Soros and his international "Open Society Foundations". He has strange dark financial dealings with countries that are being destabilized looted by the EU and US companies/banks/IMF. Companies being purchased, stressed debt for pennies on the dollar. Substantial physician certification fee money (a large surfeit) was funneled into the ABIM Foundation for years and then funneled off to an offshoot foundation of George Soros Open Society Foundations. 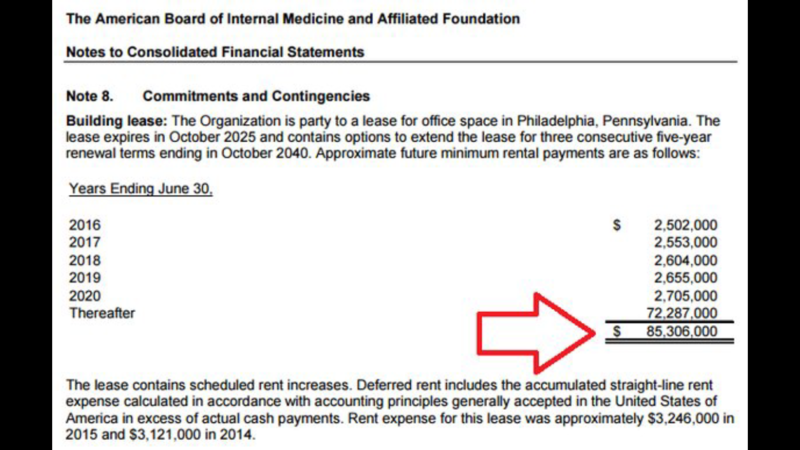 The ABIM Foundation granted substantial money to Soros' Institute of Medicine as a Profession. IMAP. Why? I have seen past discussions (transcripts) of past projects where George Soros' Open Society Foundations funded Christine Cassel others an initial sum of $15,000,000 to study dying in America. (Euthanasia and end of life issues.) None of these huge transfers from the ABIM to the ABIM Foundation have been addressed or explained. I have seen documents that point to additional sums being given to Christine Cassel and an expert palliative/death panel to the tune of individual annual payments of $70,000 or more - just for sitting around once in a while chatting up the topic of death in America. The secretive practices witnessed at the ABIM and Foundation are quite worrisome. Clandestine patient research and resultant policy recommended by unnamed experts. Choosing Wisely? Professionalism? Physicians better get MOC over quickly and then catch on to the other clandestine financial activities/political machinations of the ABMS, RWJF, OSF, NQF, AMA, ACP, ACGME before the boa clamps down - too many to list all the NGO's surrounding and strangling/controlling the health care system in America. The satellite organizations are in the hundreds creating government recommendations! Wall Street sits in the CMS selling us fairy tales that the fox is good for the henhouse. I just got my email from ABIM today that I am officially listed as not participating in MOC! 2015 ABIM Foundation Forum. Self-righteous hypocrites! Where was this 2015 ABIM Foundation Forum held, and how much did this rubbish cost us? Also why was Bob Wachter, that fish in water, in attendance giving his 5 points of observation at the end. Did he pay his own travel, hotel and dining? Is Wachter still steering this organization? ABMS Extortionists! ABIM is demanding almost $400 a year for 2 certificates, a MOC book (around $300 from a specialty society) plus a MOC conference session with an "ABIM specialty society update" for $250. It is clearly racketeering. Specialty societies are in bed with the ABIM. What a sick perverted affair it is! How can anyone believe that ABMS could be redeemed! The executives and principals need to do hard time for their fraud and hard rigid line. When is the recertification exam requirement ending? So I passed the recertification exam the 3rd time after just missing passing it the first time? And now we find (or perhaps have confirmed) that the pass rates were rigged all along. It's a small thing (compared to the need to completely dismantle MOC) but how can I sue ABIM for the fees paid/extorted? So there's a lot of righteous indignation out there now - but how do we finally and fully rid ourselves of ABIM and MOC?